It's been brought to my attention several times ((thank you husband)) that my sewing space is not what you would call the neatest space in the house. Yes yes, I am perfectly 100% aware of this fact and did not need reminding in the slightest, but here's the thing, when my free time/sewing time is already reduced to almost nothing, the absolute last idea that pops into my mind is "lets clean this sewing room up!" when a free moment arises. Yes, I can gaurantee that phrase is never ever uttered. 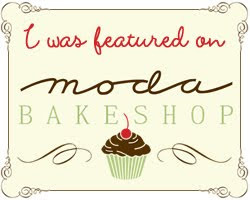 I simply put my blinders on and get stitching. Sure, while I'm stealing a few moments to sew here and there the inner dialog is going "we really need to get this space under control" but it is quickly pushed aside and forgotten about until next time. Yikes!! Just looking at this I'm honestly surprised I haven't broken an ankle maneuvering down here yet. Ok now that I've shared my dirty secret and you're all thinking "what a slob, I can't believe she works like this," let me share a few in my defenses. 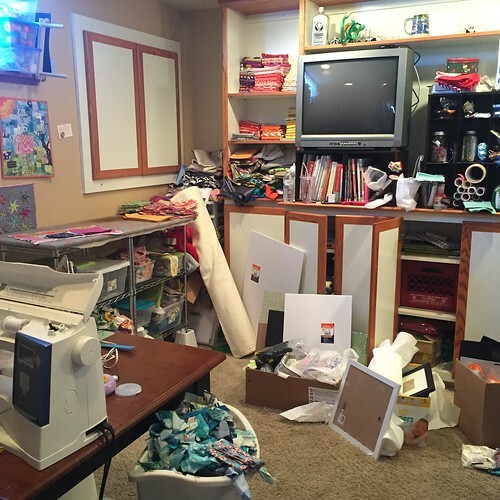 In my defense my sewing area is in our finished basement and it is right off of the garage, where we come in and out of on a daily basis, so my sewing space has a tendency to become the "dumping ground" for all things that don't yet have a home in our home. Like that diaper box that is filled with party decorations from Nora's first birthday party. In October. Um, yeah. And then there's the fact....Oh I could go on and on, but point of the matter is I let it get to be a disaster zone, and am ready to face facts that something needs to be done. like now. 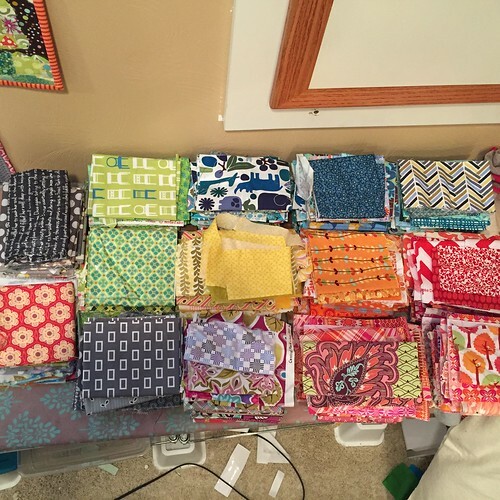 I'll be honest, I've been thinking about writing this #craftroomorganization post for some time now, and just got overwhelmed at the thought of what exactly to do to first. So I didn't do anything at all. 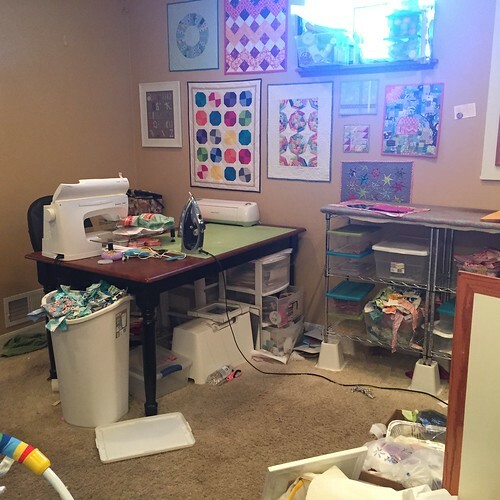 Last week I decided to just take a step, any step towards a cleaner more organized sewing and crafting space, and decided to start with cleaning house in the fabric scrap department! I dug through each and every scrap bin under my ironing board and cleaned house. Like got rid of it all by means of a destash on Instagram. 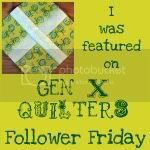 If you don't follow me already, I can be found here and my destash account can be found here at SewCraftyJessDestash. I can't believe the amount of scraps I was hoarding, to the tune of over 35 yards of scraps by weight. Whaaaat??? Insane I know. Anyways, my sewing room is 35 yards of fabric lighter and I feel great! Definitely stay tuned to SewCraftyJessDestash, I have a whole bunch of FQs and actual yardage I'm looking to purge in the near future. 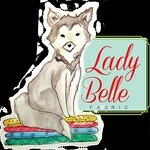 Follow Jessica Kelly's board craft room on Pinterest. I'm thinking I need more open shelving storage. I'll have to take some measurements, but I'm hoping one or two Ikea Kallax book shelves will help, and I can't resist adding one of these Raskog carts, definitely in blue. I also need to take advantage of wall space, so I'm thinking a big DIY peg board would be great, with some of these hanging buckets. The wheels are turnings so stay tuned for more to come! Any craft room organization tips you swear by?? Have any pins I need to check out?? Please send them my way, I would love to know! yeah, I'm with them - your space doesn't look that bad ! My second thought was it would be great to have a tv in my space as well ! As far as tips go, I'm probably not the one to ask but... that little Ikea cart sure is cute as long as it will roll ok on carpet. Actually, anything on wheels is good because it allows you to move it for vacuuming and re-arranging. I like the pegboard idea mostly because it is flexible too - you can re-arrange the configuration. I have learned by experience that measuring and sketching a floor plan before buying anything is the best way to save money by only buying what will work for your space :) I didn't see a design wall/board in your space but you have one, right ? They take up so much precious wall space but I just have to have one. My husband almost never says anything about what I do in my space but I had to explain more than once that I was not making holes in the wall every time I put up a block ! I took several yards of white flannel and ran 2 sections horizontally and used thumb tacks secure it. A lot of thumb tacts, actually… but it works well and the blocks stay put on the flannel. I look forward to seeing how your room comes together. Thanks so much for sharing your room. It so looks like mine. I can sew relate with the husbands nicely put comments. He doesn't hold back. He tries to avoid my area generally. 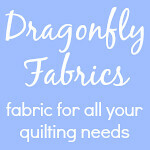 I'm personally a big fan of sewcraftyjess blog. Thanks for sharing this post. essay help online for you. This is very useful information for me. Thank you very much! I know what you need is leadership topics . Why pay someone to write my essay? Once Upon a Time Sampler: Complete!